Tinuy-an Falls in Bislig, Surigao del Sur is one of the most majestic waterfalls in the country. It's not just just the height of the falls but the width that makes it really spectacular. Tinuy-an Falls is 55 meters high and 95 meters wide. And some say that it is the widest waterfalls in the Philippines. From Bunawan, I took a van to San Francisco where I had to switch buses to get to Surigao del Sur. The buses go all the way to Mangagoy which is the commercial district of Bislig City. You know you are in Bislig when you start seeing clusters of centuries-old hardwood trees that tower over the landscape. It's a good thing Bislig still has a good amount of its original forest cover. But the sad part is you'll see a lot of felled trees and cut logs by the road side. I got off at the Bislig City Hall where I was to meet the tourism staff who would take me to Tinuy-an Falls. Unfortunately, Tinuy-an is quite a distance from the National Highway. So you will need to hire a habal-habal or tricycle to get there. But it's definitely worth the trip. There is no hiking required since parking is right beside the falls. Aside from the main drop, there are other smaller cascades upstream and downstream from the main falls. Just as always, I couldn't stay for a swim since I had to catch the last bus back to Davao. Unfortunately, we did not have the correct information. It turns out, the last bus for Davao City from Bislig leaves at 4 p.m. and it had just left 20 minutes earlier. So I had no choice but to backtrack to San Francisco since the Butuan-Davao route which passes by San Franz (as locals refer to it) runs 24 hours a day. The bus rides took a total of nine hours! waaah 9 hours in the bus! It's refreshing to see such beauty. 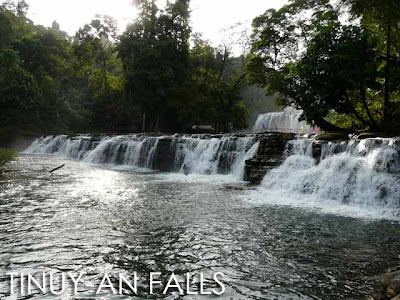 Most provinces up in northern luzon would have these pristine waterfalls; but they're drying up due to illegal loggings. Profit rules....some people just don't care about nature and the environment. its rather difficult to describe a location without an exif gps location embedded in the jpg picture. mas madali sanang puntahan mga lugar na nasa site mo kung may google maps reference. i enjoy your site. and subcribed in google reader.. Such an amazing view. So refreshing and relaxing to look and adore. hello! 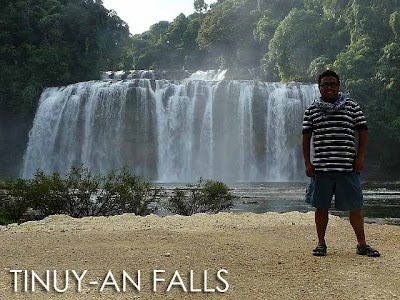 where else can we go from tinuy-an falls? do you have any suggestion? butuan will be our base. hi! 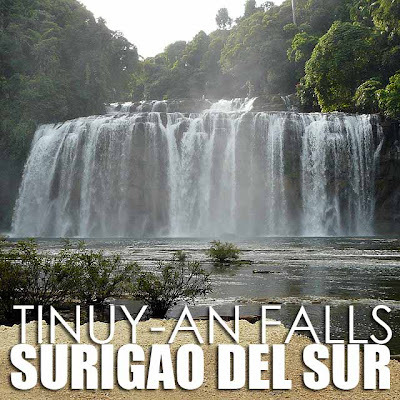 is it possible to go to tinuy-an falls from surigao city? Been to Tinuy-an Falls last year, the 8 hours travel from Davao is really worthy. The sound of water is relaxing. Just wondering if the local government allow white water rafting below the falls or above it? wonderful!!! and i will be there soon.